Build 1432 of Microsoft's upcoming OS update makes Edge easier to install and eliminates a controversial feature in Sense. The march towards the release of this summer's Windows 10 Anniversary Update continues with the May 10th release of the latest preview: build 1432. 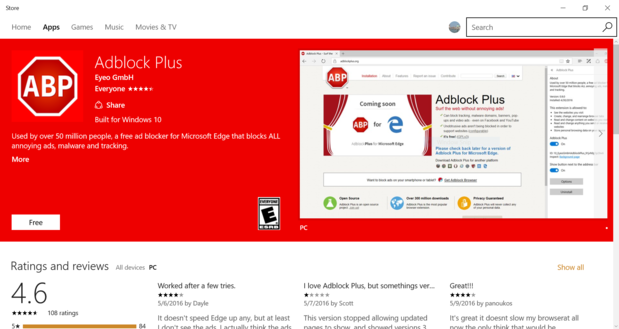 It's a minor update focusing primarily on improving the Edge browser's extension installation process and launching four new extensions. There's also a surprise in this build: The death of the most controversial aspect of Wi-Fi Sense, the feature that some people worried could invade their privacy by sharing their Wi-Fi passwords with their friends and contacts. When Microsoft launched Windows 10, it dumped Internet Explorer as Windows' default browser in favor of the new Edge browser. The company also promised that Edge would be able to use extensions -- and that will finally happen in the Windows 10 Anniversary Update. Use of extensions was turned on in the previous preview. But they were very clearly a work in progress. The biggest problem was how difficult they were to install. For each extension, you had to go through a complicated process: Download a file, run it, click a button to say you wanted to install it, browse to the folder where you downloaded the file and select the downloaded file. And you also had to read a Readme.txt file in Notepad after you downloaded the file. If that cumbersome installation process remained, it's likely few people would bother to use extensions. I certainly wouldn't. In this newest revision, installing extensions has been simplified. You first click the "... More" menu on the upper-right corner of Edge, then click "Get extensions from the Store." From the page that appears, you click "Download extensions," then click the "Open in Store" button underneath the extension you want to install. From then on when you click the "... More" menu you'll see a list of all of your installed extensions. Right-click any of them for details about it, to rate and review it, to customize it or to uninstall it. 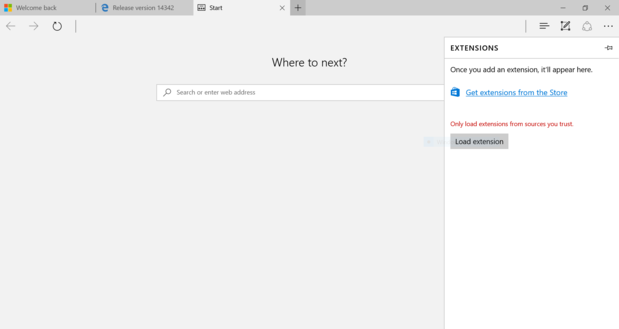 The process of installing extensions for Edge has been made much easier. All this is a considerable improvement over the way things worked in the previous preview. Installation is neat and clean, on a par with how it's done in Chrome. Four new extensions have been added to the five from the previous preview: two similar (but not identical) ad-blockers, Adblock Plus and AdBlock; Page Analyzer, a developer-focused tool for improving a website's compatibility and performance; and Save to Pocket, which saves articles, videos and other media from the Web, which can then be viewed either online or in the Pocket app for iOS and Android. Edge extensions are downloaded and installed from the Windows Store. They join the existing Microsoft Translator for translating Web pages; OneNote Clipper for adding Web content to OneNote; Mouse Gestures, which lets you use mouse movements for browsing; Pin It Button for pinning Web content to Pinterest; and Reddit Enhancement Suite, which offers tools such as subscribing to comment threads and more easily keeping track of subreddits. Not all the extensions necessarily work well -- or consistently. For example, the Pocket extension is supposed to work this way: When you're on a Web page and want to save a page, you click the Pocket icon to save the page. You can then go to Pocket on the Web or use an iOS or Android app to see your saved content. In theory, anyway. In practice I found it didn't always work. Sometimes pages were saved; sometimes they weren't. In my experience, it's not really usable yet. That brings up another similar extension that's not yet usable -- the OneNote Web Clipper. It is designed to let you save content from the Web to the OneNote app. When I tested it in the previous build, it simply didn't work. Every time I tried to clip a Web page I got the message "Sorry, we aren't able to clip this page right now." The same thing happened to me on two machines in this build as well. Maybe it'll start working right for me with the next build. Also notable in this latest rev is that it spells the end of a controversial feature called Wi-Fi Sense -- or at least, a portion of it. Wi-Fi Sense was designed to automatically connect guests to Wi-Fi networks without their having to typing in passwords. However, people feared that Sense invaded their privacy by sharing all their Wi-Fi passwords with their Outlook and Skype contacts, and with their Facebook friends -- and all of their friends' friends as well. In truth, it wasn't really a big privacy invader, because no one would see the actual passwords. You had control over whether to use it or not -- and even then, you'd have to take specific actions to enable sharing passwords from each of your Wi-Fi networks. Still, the charge of privacy-invading has stuck. So Microsoft is taking away the portion of Wi-Fi Sense that does the password-sharing -- in fact, it's killed in this preview. According to a blog entry, few people used the feature and it wasn't worth the cost of maintaining it. What Microsoft didn't say is that the password-sharing had proved to be a PR headache -- a headache that will go away once the Windows 10 Anniversary Update hits. Still, a portion of Wi-Fi Sense remains. In its blog, Microsoft noted that "Wi-Fi Sense, if enabled, will continue to get you connected to open Wi-Fi hotspots that it knows about through crowdsourcing." So if you're near a publicly open Wi-Fi hotspot, you'll be automatically logged in. This preview wasn't a particularly significant one, but it's nice to see Edge extensions get a reasonable installation routine. And Microsoft got rid of a PR problem by ditching the most controversial aspects of Wi-Fi Sense. Microsoft will be updating the Windows 10 Anniversary Edition regularly until launch, and we'll keep you informed about the preview releases along the way. If you want to get preview releases and try them yourself, it's easy to do. 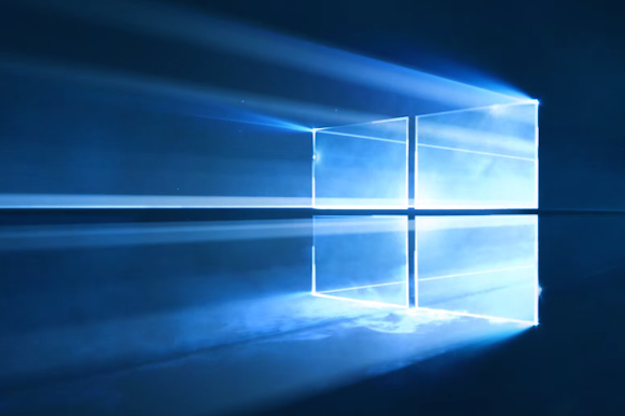 Check out First look: Microsoft's Windows 10 Anniversary Update preview for how to do it.